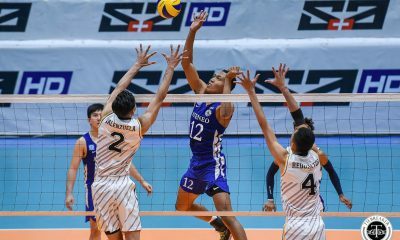 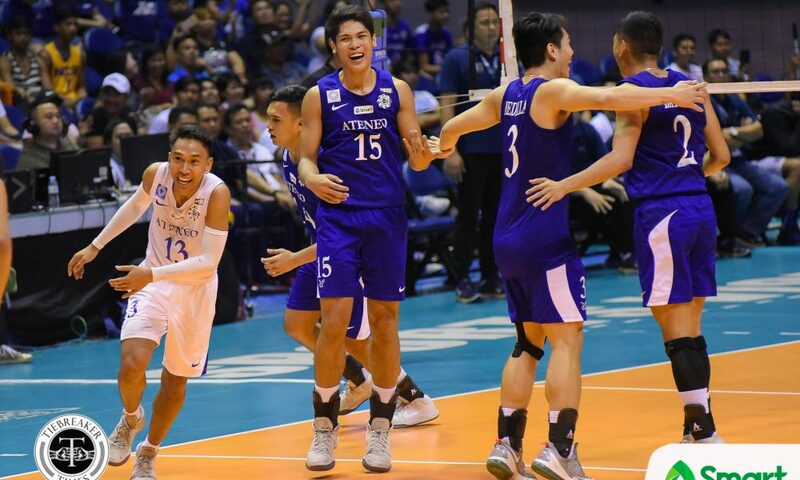 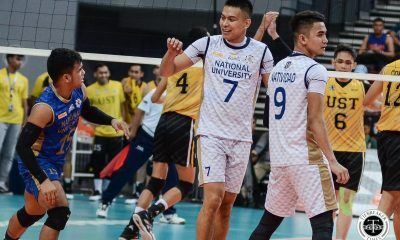 The National University Bulldogs took their first win in the UAAP Men’s Volleyball Finals since Season 76, grabbing Game One from the Ateneo de Manila University Blue Eagles, 25-20, 25-19, 25-23 , at the Smart Araneta Coliseum. 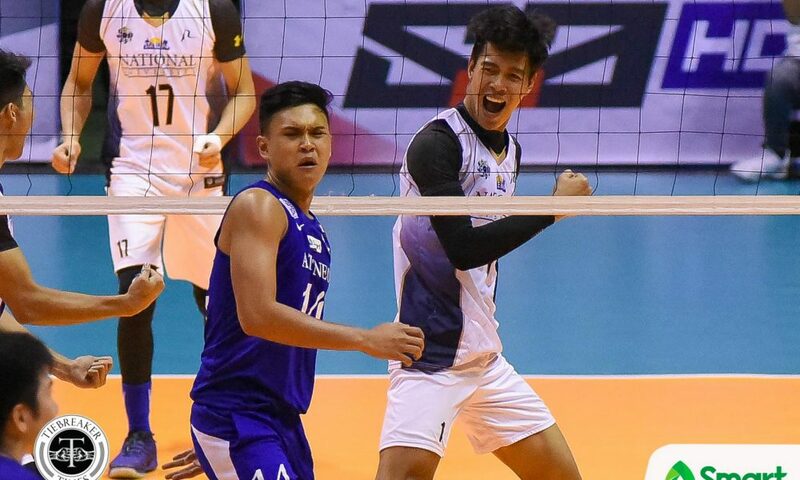 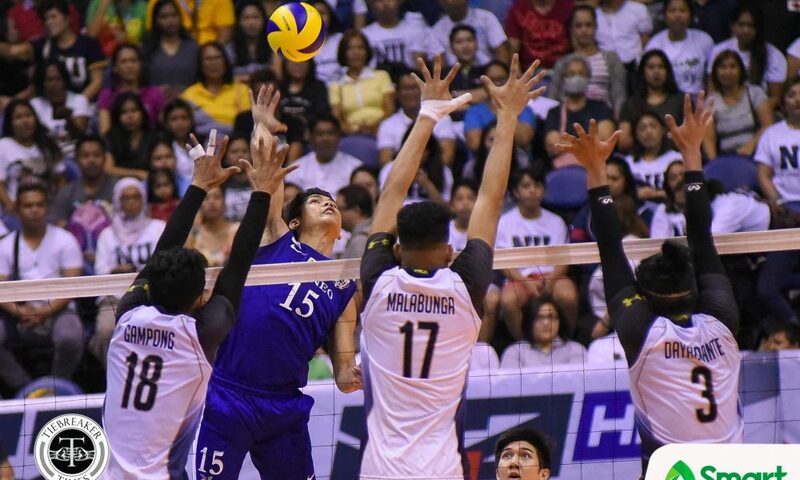 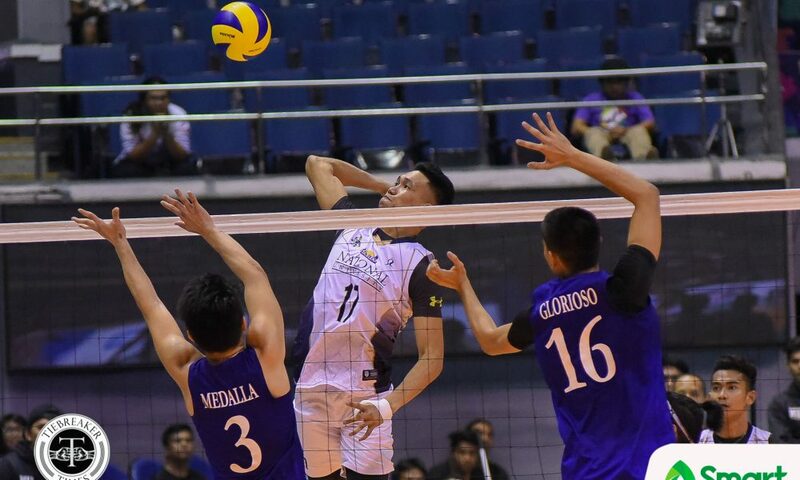 National University stifled Ateneo’s rampaging ace Marck Espejo. 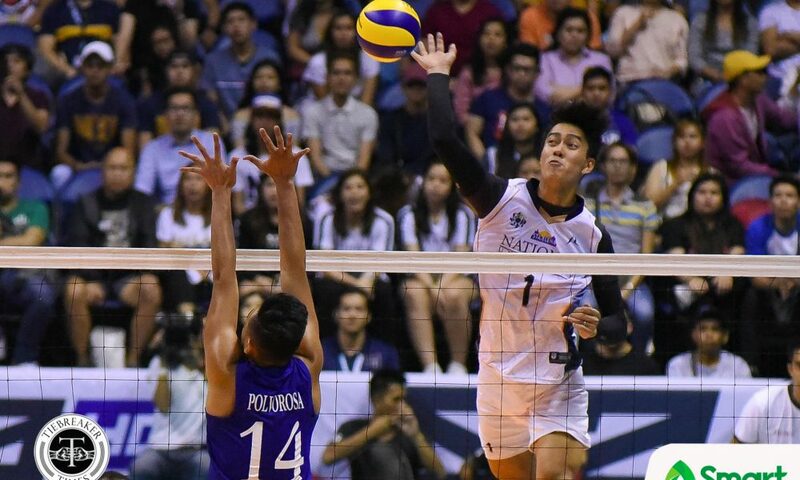 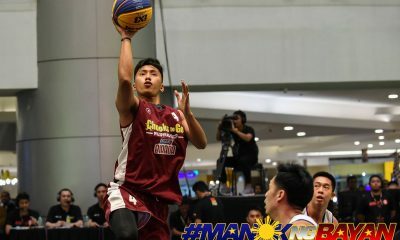 After the four-time MVP scored 55 and 37 points in his past two games, respectively, Espejo was held to just 16 against NU. 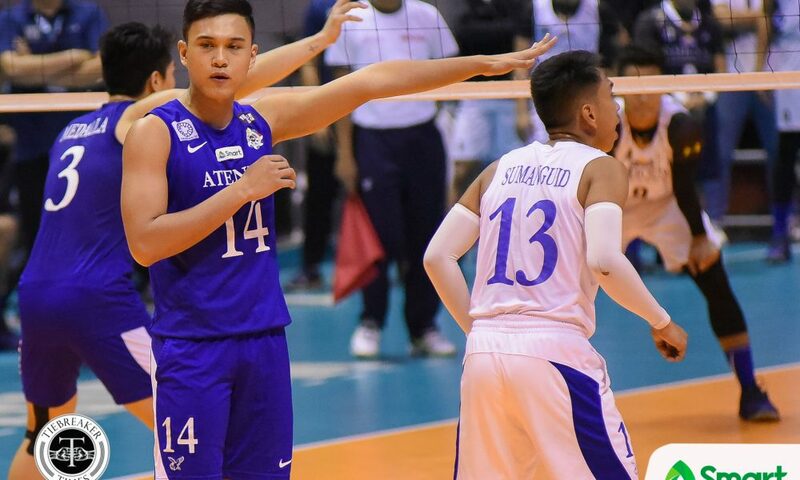 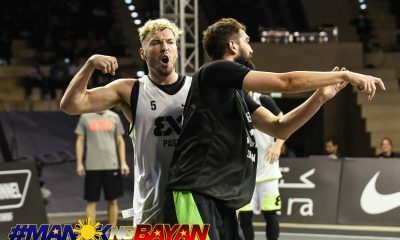 The Bulldogs’ ace, Bryan Bagunas, won their individual match-up, leading his squad with 19 markers. 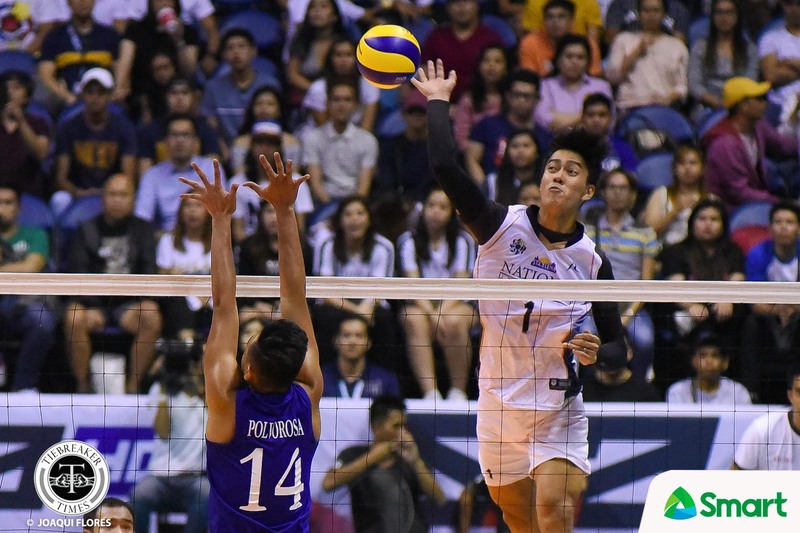 The Bulldogs led for most of the match, only facing severe resistance in the third set. 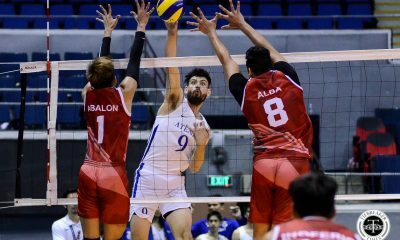 Ateneo cut a four point lead down to one, 23-22, but NU quickly responded, going to JM Natividad and Kim Malabunga to end the match. 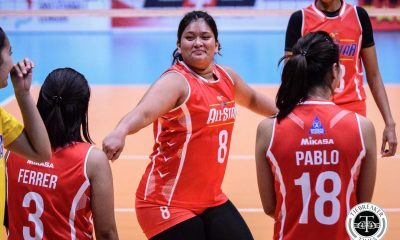 “Nagkataon lang talaga kasi na ‘yung serve namin gumana. 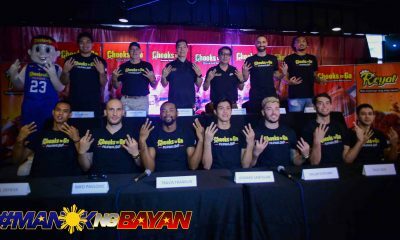 Hindi sila naka-receive. 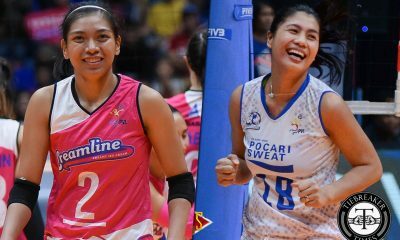 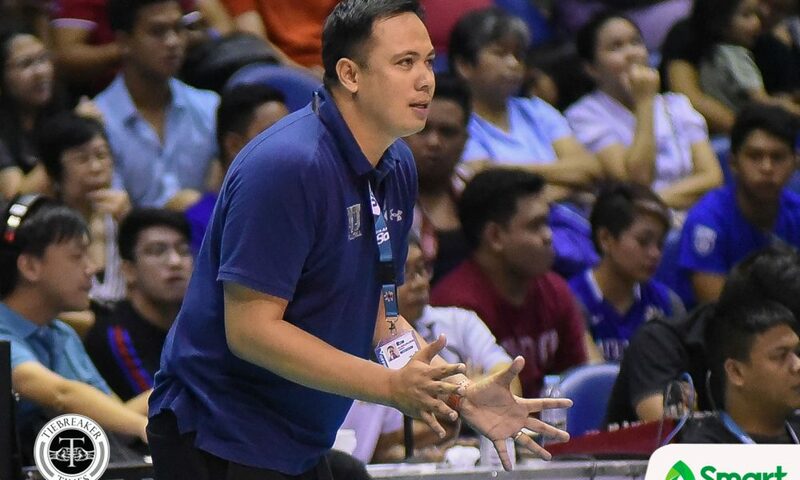 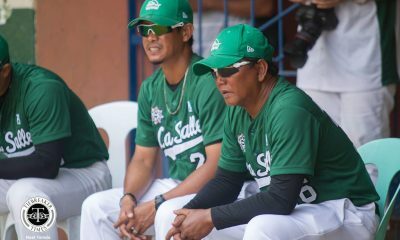 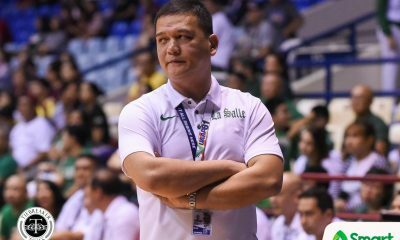 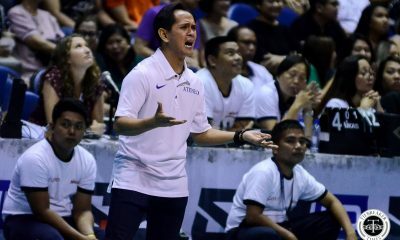 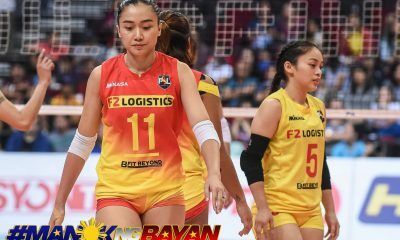 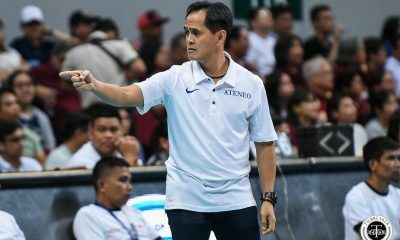 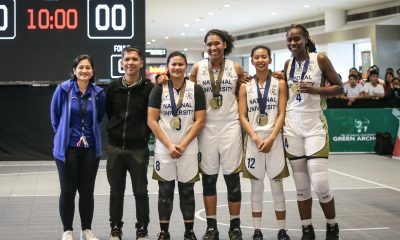 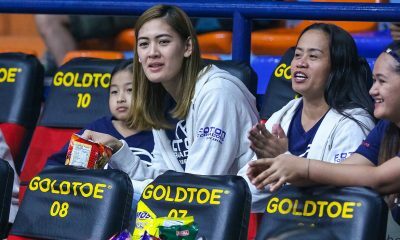 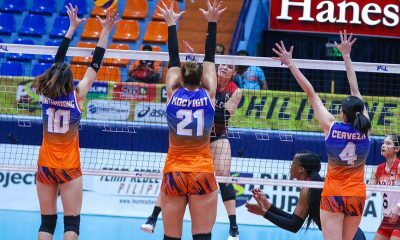 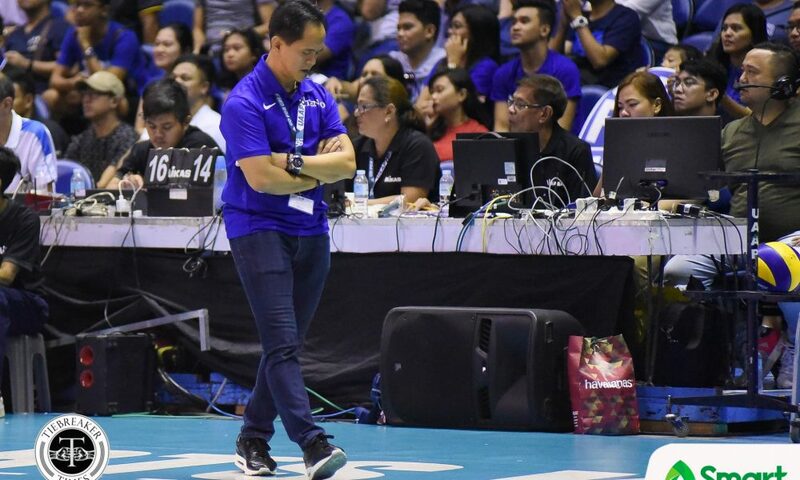 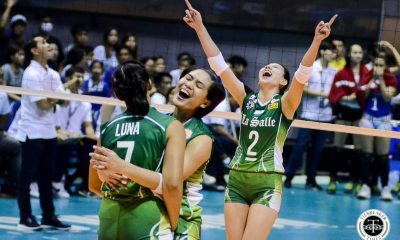 Alam na namin kung saan kami pupunta sa block kasi pag mis-receive sila, alam kung sino hahanapin ng setter,” said NU head coach Dante Alinsunurin. 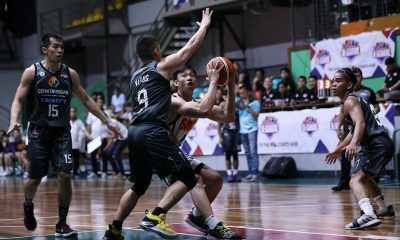 “Sabi ko sa kanila na malaking chance natin ngayon, kunin na natin,” the enlisted Air Force personnel added. 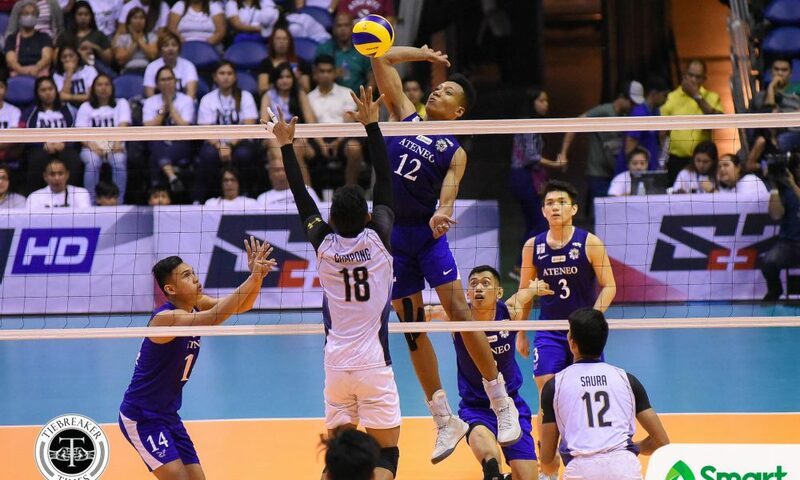 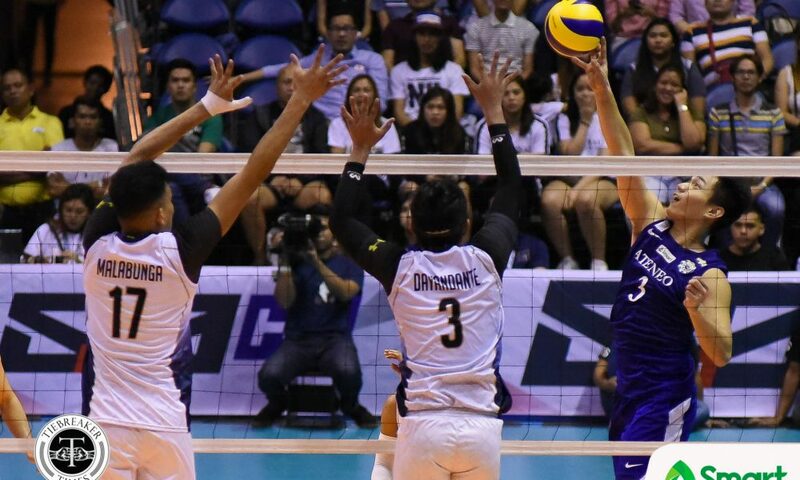 NU’s blocking clicked, nabbing 13 kill blocks to Ateneo’s seven. 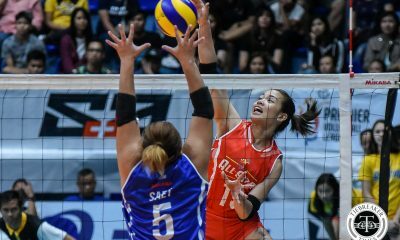 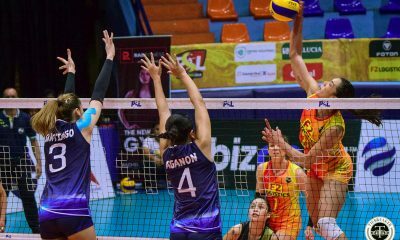 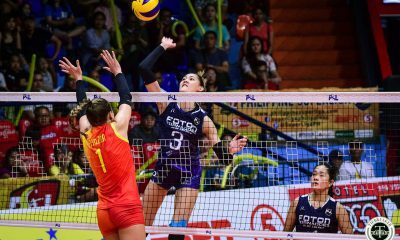 NU winger Madz Gampong contributed a career-high five blocks and finished with 11 points. 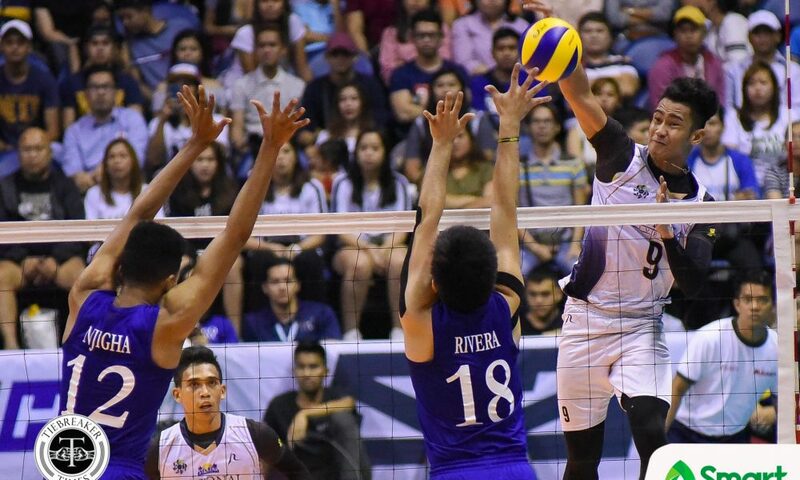 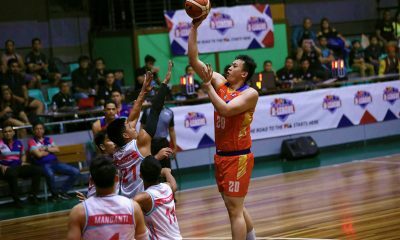 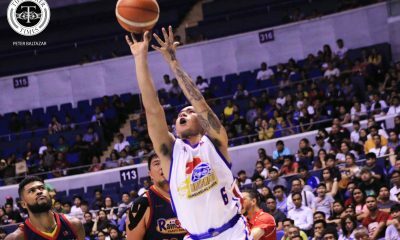 Ron Medalla added 11 points for the Blue Eagles, who absorbed their first loss in the Finals since Season 76. 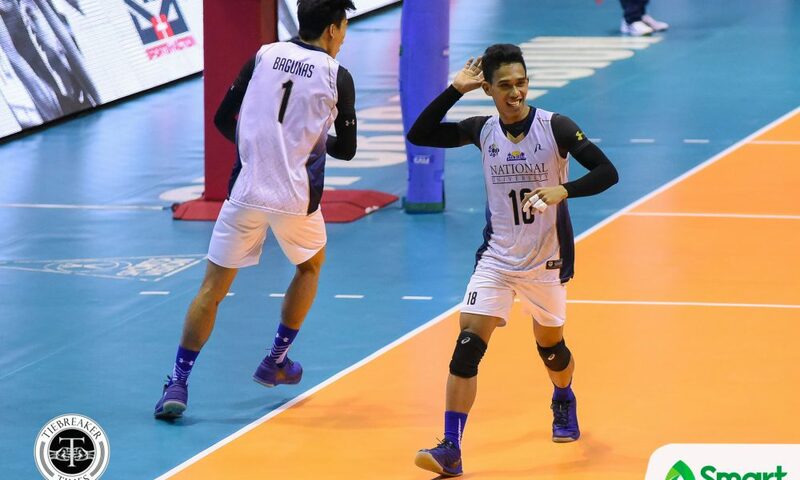 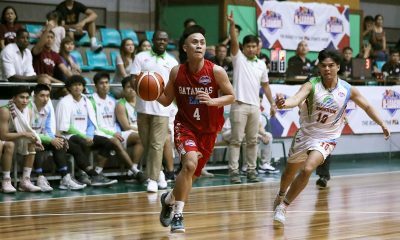 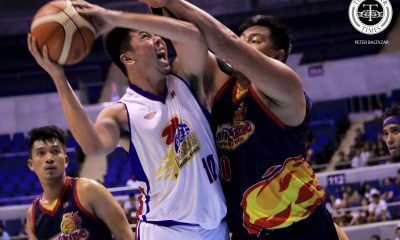 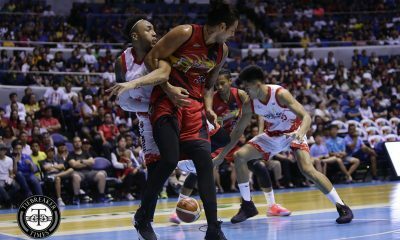 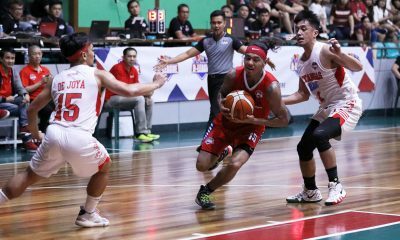 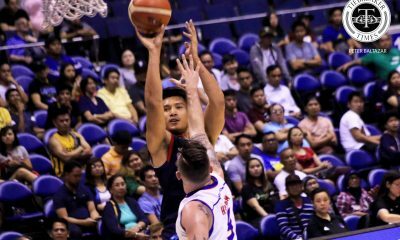 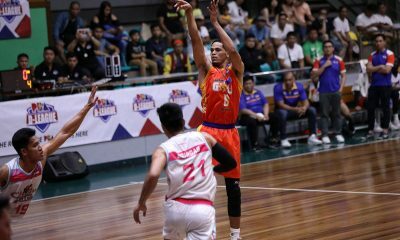 NU can clinch their first title in four years with a win on Wednesday at the Smart Araneta Coliseum.